Rolling emerald hills meet glorious foamy waves crashing upon gray shores, as cherry blossom trees reach up to the sky. 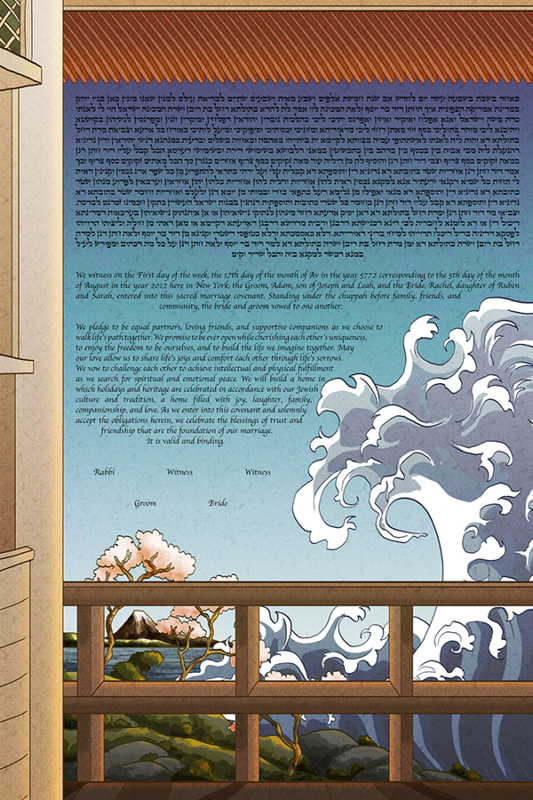 Clean, muted colors, and the beauty of a faraway land: this ketubah invites the viewer to delve into a world of peace and introspection. This ketubah is perfect for the couple that adores travel, the thoughtful optimism of Japanese art, or simply has no idea where to go for their honeymoon! Let Far Away Fuji whisk you away as you begin your life's journey together.